As I have learned, the publishing of a book is an extremely tedious process. I published my first kindle addition in February and then decided on a print addition. In the editing of the print addition, I went through about five different proofs and three reviewers to find out just how sloppy my February Kindle Edition was. 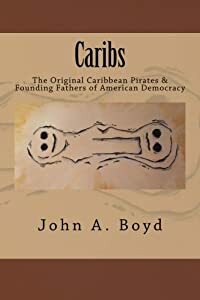 I have now republished my book, “Caribs:The Original Caribbean Pirates & Founding Fathers of American Democracy” in a (Kindle Edition) and (Paperback Edition). Both are available from Amazon. 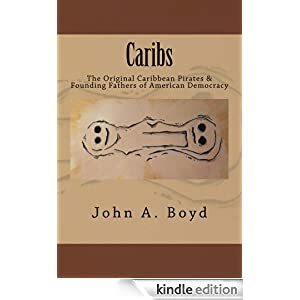 Details of the book are available at the Amazon page for the book and the post below gives some of my thoughts about the need for a history of the Caribs of St. Croix and their Battle against the Conquistadors. Details of the book are available at the Amazon Links (above) for the book and the post below gives some of my thoughts about the need for a history of the Caribs of St. Croix and their Battle against the Conquistadors. The book is available from Amazon in either format, but I have not yet received my shipment so it isn’t in bookstores. On my next book, I will definitely do the paperback version first as I found it easier for an old fashioned guy like me to edit a real book rather then an electronic one. This entry was posted in Uncategorized and tagged Caribs, Columbus, Kalinago, Native American, salt river bay, St. Croix History. Bookmark the permalink.